Chapel with bar grill and mail aventail “Louis” was one of the most popular medieval helmets through XIII-XVII centuries. 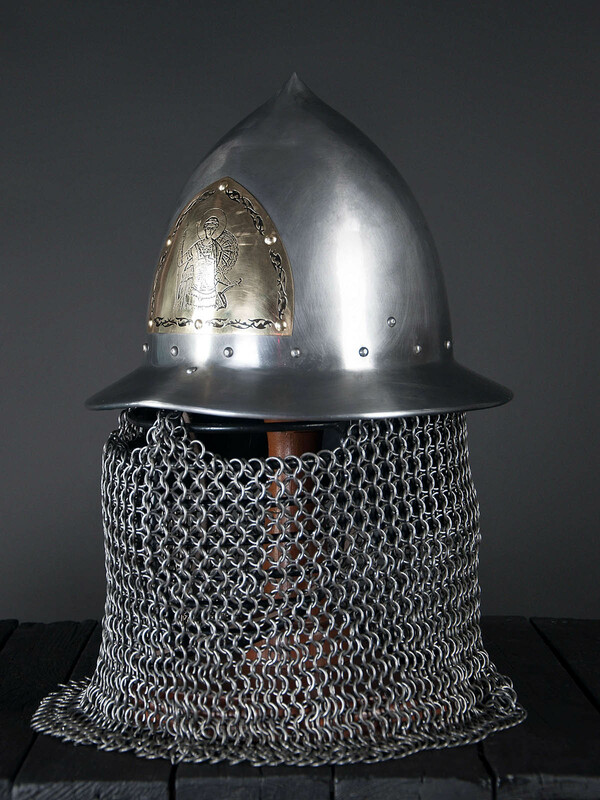 This simple, comfortable and functional helmet successfully resisted both halberds and the first bullets. Details changed, but the essence - the metal dome with wide brim remained constant, which says a lot about this design reliability. And here is one of the great representatives of the chapel family – Louis, chapel with bar grill and mail aventail. This is stylization for Byzantine helmet with a brim. 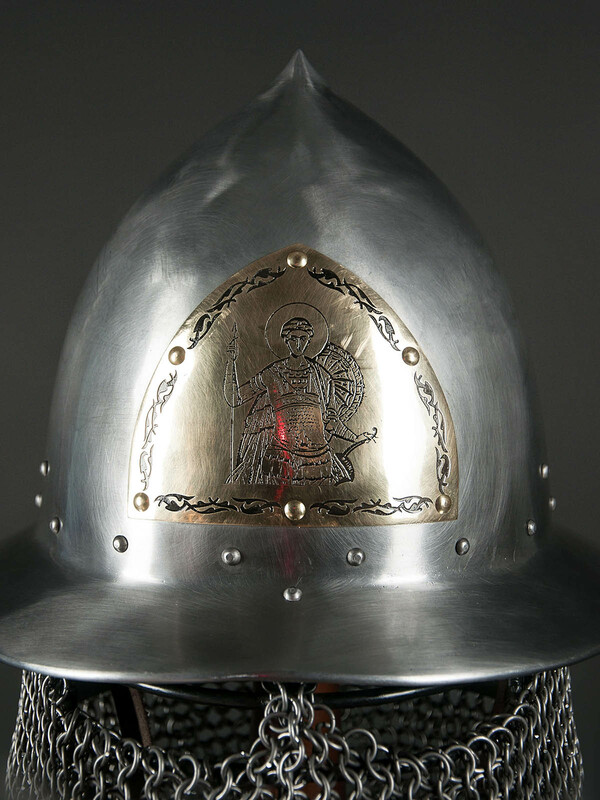 It comes from southeast Europe region (Byzantium, South Rus, the Balkans), where such medieval war helmets used at XIII-XV centuries. 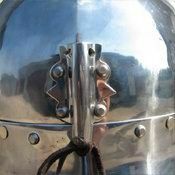 This hand-made Middle Ages helmet forged by our blacksmiths from the best cold-rolled 1,5 mm steel. This fighter face protection exactly repeats its historical prototypes. 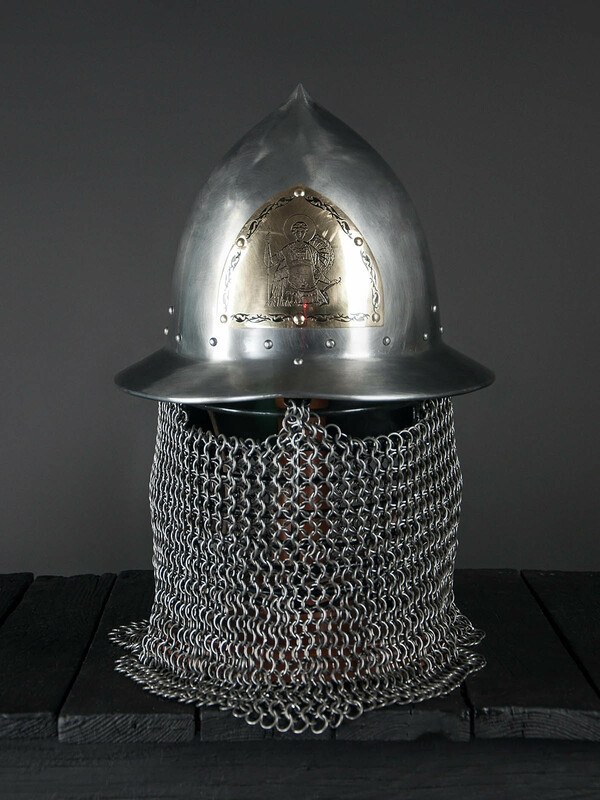 Moreover, this is not a decorative helmet, but a real battle defense, so you can use it in: SCA, HEMA, Larp, Stage performances, Medieval festivals, Reenactment events. 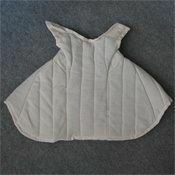 - 100% natural fabric liner (Liner for bascinet and barbute).  As additional options, you can order Mail aventail 2*10 mm non-riveted rings for extra 95 euro. However, if you want to make your Louis chapel one of unique medieval helmets you can choose such an option as digital artistic etching (70 euro). - 100% natural fabric liner. Linear for bascinet and barbute. We offer to complete your head protection with padded liners and caps, padded pelerines and aventails. Gothic Sallet with visor is a popular model among German knights in the XV century. Medieval helm sallet (salad) appeared in the medieval Italy and completely replaced bascinets. This head protection was high-demanded among as noble warriors, so common infantry and archers. But the most popularity, sallets gained in Germany. Sallet with movable visor became a main element of well-known full-plate Gothic armor. These helmets were often decorated with top figures or chased elements. Helmet is fixed with leather underchin belt and buckle and sewn padded liner makes wearing (and fighting!) very comfortable. This battle helmet is handmade by customer parameters. You can use this functional battle helmet for: SCA HEMA Larp Stage performances Medieval festivals Reenactment events Main photo shows authentic medieval steel head protection with following options: Cold-rolled steel 1.5 mm; Mirror polishing as finish treatment; Brown leather belts; Brass buckle; Steel rivets; Decorative forehea..
Bracers with painted leather are based on the classical forearm defense, which was popular among Asian and Rus’ knights in the XII-XV centuries. Tubular bracers have two leather belts with buckles for keeping of handmade armor on the arm. Defense is long enough to cover the elbow. 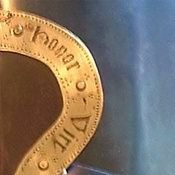 Leather is riveted inside the bracer. Edges look like a wristband and protect wrists well. We may paint any ornament in any colour by your wish. We recommend to wear this plate arm defense over padded Eastern gambeson. You can use this handmade medieval armor for: SCA HEMA Larp Stage performances Medieval festivals Reenactment events Base price includes following options: Cold-rolled steel 1.0 mm; Satin polishing; Brown leather belts; Steel nickel-plated buckles; Steel rivets; No decoration; Leather inside; Decorative painting Main photo shows custom arm armour with following options: Cold-rolled steel 1.5 mm; Mirror polishing as finish treatment; Brass rivets; Brass buckles; Brown leath.. Hood was one of the most widespread type of headwear in the Middle Ages. There was a usual headcloth with pelerine, that covered shoulders. Often, hood had long tail with length up to 3 meters. Good had been fastened with strings or buttons under the chin. This model of classic medieval hood without tail is made of wool and has cotton lining, that make your headwear more comfortable. It's being fastened with leather string. Different colours are available for order is options. .. This type of medieval folded up headwear was very popular among men in the XIV-XV centuries. It is a tubular hat with fold and cut. Lining has the same or contrast colour. Usually, this hat is being worn over the cale. Medieval headwear will be a good addition to the tunic of similar colour. Please choose the main colour in options, and send the wished colour of lining to us [email protected] ..
Set consists of 50 brass rivets. Diameter of head is 10 mm, diameter of leg is 4mm, lenght is approximately 8 mm. 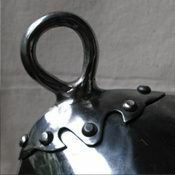 Rivets are perfect for plate armour repair, e.g rivetting of plates of brigandine to the fabric base or metal parts' connecting, etc. ..